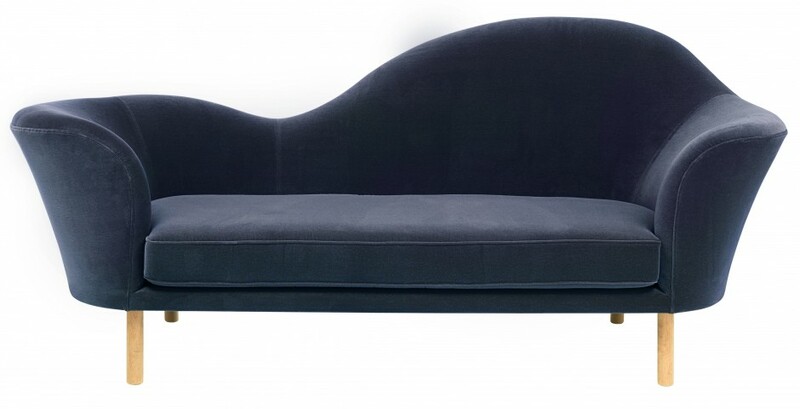 The Grand Piano 3-seater sofa/chaise long is available with a right- or left side arch. It is built on a frame of solid wood covered with polyurethane foam. The upholstery on the frame is fixed and comes in wide range of leathers, fabrics and colours. The cylinder legs are in solid polished aluminium. Here shown with right turned. Upholstered with 382 Opus 33 colour Taupe. Leg in Oak. Dimensions: H: 88 x L: 220 x W: 77 cm. About the Gubi Olsen collection Postmodernism was a reaction to the functionality and formalism of Modernism and gave birth to the Postmodern architecture movement. Postmodernism in architecture is marked by non-orthogonal angles, the re-emergence of surface decoration and the expression of meaningful historical and stylistic references. Gubi Olsen, founder of Gubi, has always pushed the boundaries to explore new directions in design. 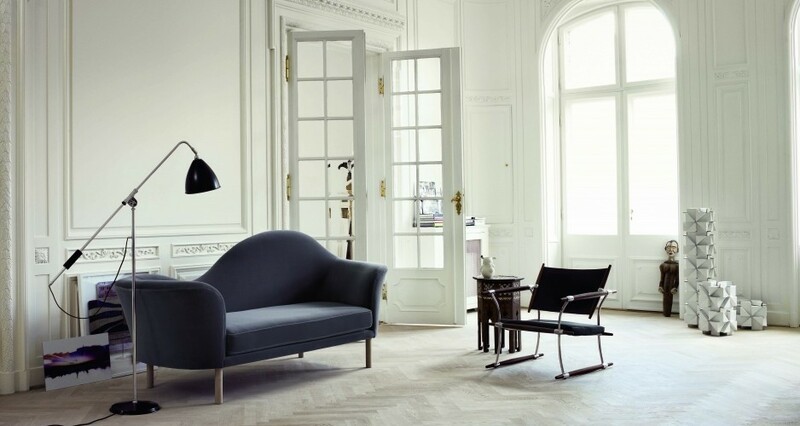 His starting point has been the rich Danish tradition of craft and furniture production, together with multiple historical references. 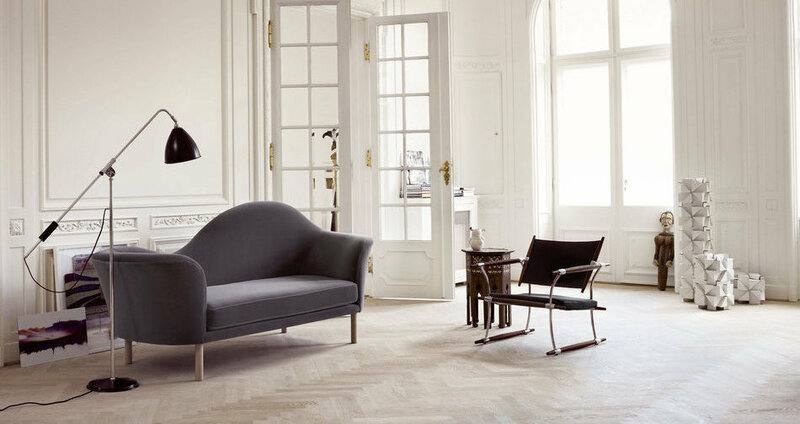 The Soft Collection, a range of furniture designed by Gubi Olsen from 1982 and upholstered in his own Holmens Klæde fabric is inspired by diverse references, such as French cinema, Napoleon Bonaparte and a grand piano.